Bennett and Cash take one look at the fiery redhead and can’t resist seducing her into their arms. Nothing will stop them from making her theirs. Not the a-hole ex boyfriend, and not a scandalous past that may change the way she looks at one of them forever. 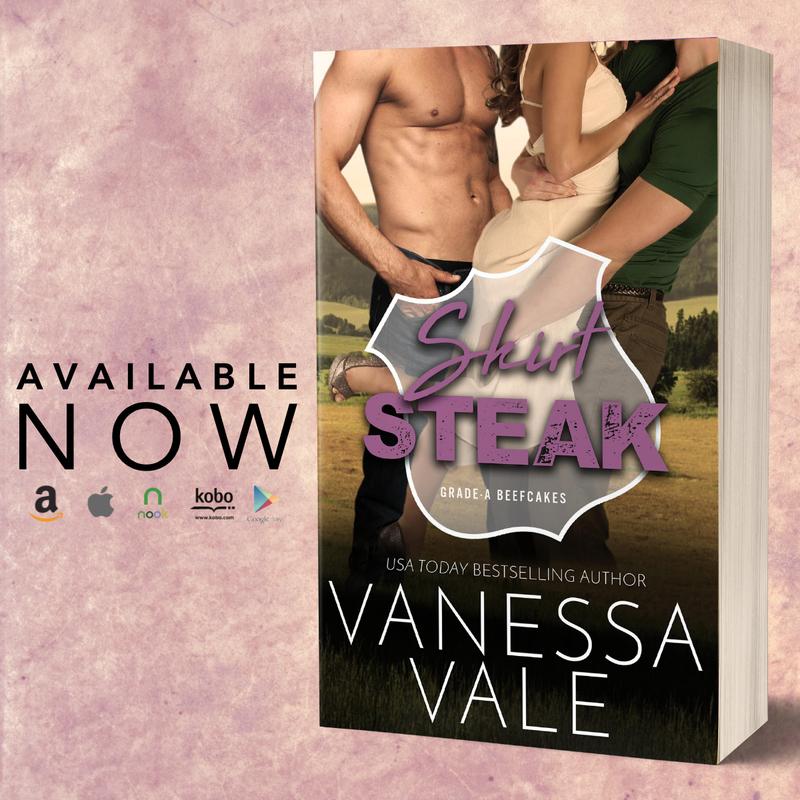 Skirt Steak is the 5th book in Grade-A Beefcakes Series. We have already been introduced to the Duke boys and now we are introduced to Julia Duke (she is skirt steak) their sister. All Julia’s brothers had names of steaks that it is only fitting that their sister has one too. Fortunately, there is a skirt steak which is fitting for a woman. I loved Julia’s personality. Her mouth seems to run away from her at times. Like when she first meets Bennett and Cash. 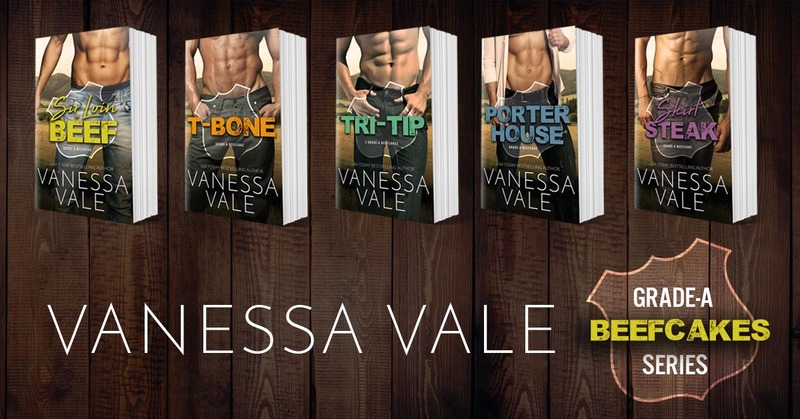 She mistakes them for the strippers that she hired for Ava’s (Julia’s middle brother is marrying Ava) bachelorette party. I found myself either giggling or just LOL while reading Skirt Steak. Usually it was something that Julia said or did. I loved it! Julia wastes no time getting with the mistaken strippers, Bennett and Cash. There were sparks flying between these three!